The midterms are over and the Democrats, as expected, have taken back control of the House of Representatives, which gives them a much needed check against America’s CEO/Dictator Donald Trump’s continued abuse of power. 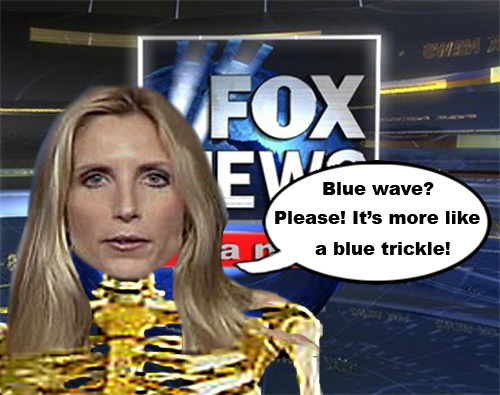 The Republicans augmented their control of the Senate though, preventing a blue tsunami. However, Democrats made some important gains that have predictably been pooh-poohed by Republicans and some of the main stream media. Take for instance, the gubernatorial and senate races in Wisconsin, Michigan and Pennsylvania: three swing states that voted for Trump in 2016. All three elected Democratic governors and senators. It appears like voters in those states appear to be admitting that Trump is a con artist and they made a mistake. To put it in perspective, if these three states had voted for Hillary Clinton in 2016, Trump wouldn’t be CEO/Dictator of America. It also means that the Democrats could very well put these states back in their column in 2020. Also consider that 71% of the candidates that Trump supported lost their elections. So it definitely appears that many people have tired of Trump’s shenanigans and want anybody who supports him out of office. While most agree that it wasn’t a huge swell like 2006, when Bush got “a thumpin'”, it was a good wave and it has rattled Trump and put him on the defensive. 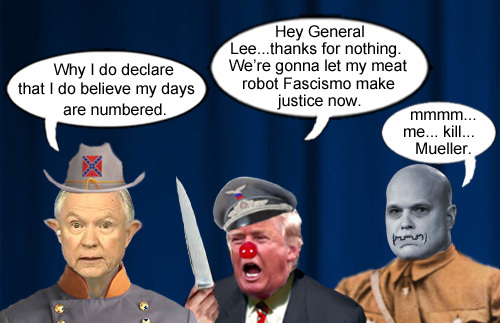 Not only did he lash out at reporters at a press conference, he pushed Attorney Confederate General, Jeff Sessions, out the door. Of course, in true Trumpian fashion, the orange haired, megalomaniac, man child blamed everyone but himself for the losses. It’s funny, when we were growing up over half a century ago, there was a saying that it takes a big man to take the blame and admit he was wrong or that he made a mistake. Once more, Trump is proving that he is a very, very, very, little man. 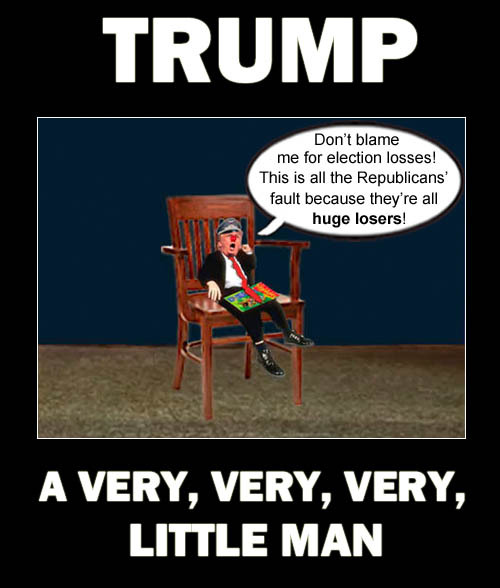 America’s CEO/Dictator, Donald Trump, nobly took the blame for the midterm election losses incurred by the Republican party. JUST KIDDING!!! He faulted everyone but himself like the truly little man he really is.